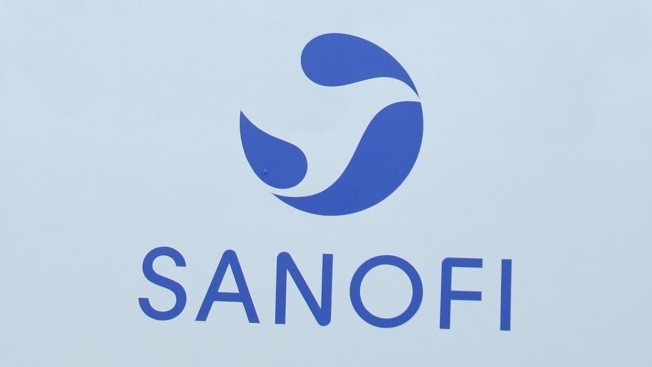 This May 2, 2018, file photo shows the Sanofi logo at the company's general meeting in Paris. A new pediatric vaccine that immunizes children against six diseases was approved by the U.S. Food and Drug Administration, French pharmaceutical company Sanofi said Wednesday. Reuters reported that the vaccine, Vaxelis, for children between 6 weeks and 4 years of age helps prevent diptheria, hepatitis B, pertussis, poliomyelitis, tetanus and invasive disease due to haemophilus influenza type B.
Sanofi and its partner, Merck, aim to have the drug available in 2020 or later.